Here is something clearly designed for the archivist, not the casual listener. 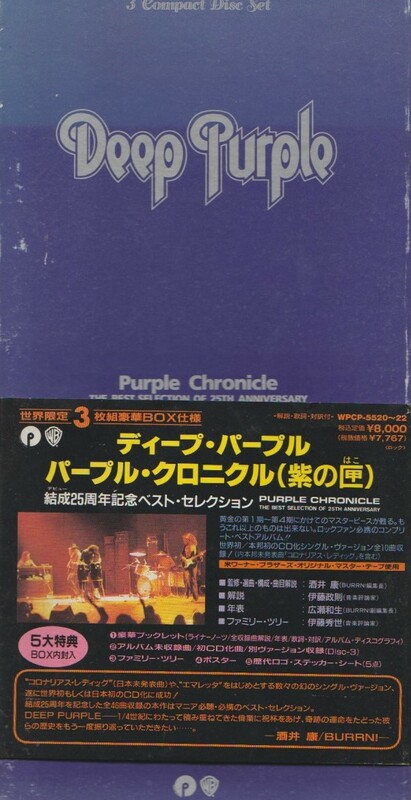 Purple Chronicle is a strange but in-depth collection of singles, album cuts, B-sides and rarities. With tracks spanning 1968 to 1976 (Deep Purple’s original run) there is much to cover. There are even two mono mixes that are still unavailable on CD anywhere else. The first two discs comprise a chronological look at the most key Deep Purple tracks. Five songs are earmarked to represent the Rod Evans era, including the big one “Hush” and Neil Diamond’s “Kentucky Woman”. It’s a mere brief glance at the three albums they did with Rod, but there are more rarities on Disc 3. The classic Deep Purple Mk II era featuring Ian Gillan takes over on the next 11 tracks. From “Speed King” through to “Fireball” and “Strange Kind of Woman”, the big hits are here. Who Do We Think We Are from 1973 only has one track present (“Woman From Tokyo”). “Into the Fire” is pleasing to find here, as one of Deep Purple’s short and sweet heavy metal stomps. Deep Purple Mk III and IV (featuring David Coverdale and Glenn Hughes behind the microphones) are given 12 tracks to stretch out. They don’t anything as long as Gillan’s “Child in Time” which exceeds 10 minutes, so this is still fairly proportional. The best songs, both rockers and ballads, are laid out from their three records. They include the unforgettable “Burn” and “Stormbringer”, the extended blues “Mistreated” and underappreciated gems such as “You Keep on Moving” and “Comin’ Home” with Tommy Bolin on guitar. All of the songs on the first two discs would have been available on standard Deep Purple CDs at the time. The third disc has a bunch of tracks that were (and some that still are) harder to come by. It is dominated by B-sides, single edits and assorted rarities. “Black Night” appears for the first time, as a single edit and live B-side. Indeed there is a lot of repeat of Disc 3. 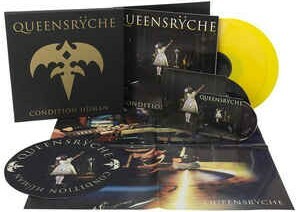 “Speed King” for example is here twice more, with both of its extended intros (noise plus keyboards, or just keyboards). These weren’t on the typical CD release of Deep Purple In Rock at the time. There are single edits of “Woman From Tokyo”, “Highway Star”, “Lazy” and “Burn” (two edits!). And there are lots of rarities galore, culled from B-sides and Purple’s outtake album Power House. Some, such as Rod Evans’ “Emmeretta”, and Gillan’s “Painted Horse” and “Cry Free”, are true unsung Purple classics. “Coronarias Redig” is notable as the only instrumental of the Coverdale era. The two tracks that are still true rarities today are the mono mixes of “Smoke on the Water” and its live counterpart. More versions of “Smoke”? Yes indeed, but unless you have heard them in mono before, you have not heard them all. These are not “fold down” mono mixes made by just converting the stereo track to mono. These are audibly different in subtle ways. This is the kind of set that will be difficult and expensive to track down. If you spy it somewhere, be aware of the value to collectors. (I was fortunate that a copy in great condition just dropped in my lap for cheap.) Consider it if collecting Purple is your thing. Includes full booklet and poster with family tree. Blackmore’s new Rainbow lineup has already released three live albums! So which one should you buy? The one with the new song, of course. And if you prefer the whole enchilada, then the only option is to score the Japanese version of 2018’s Memories In Rock II, which has not only that new song, but two other new recordings that were only available on iTunes. Any serious Rainbow fan should consider buying the album from Japan in order to score these tunes, on CD for the first time ever. It’s only money! This album is a sequel to 2016’s Memories In Rock. Blackmore and Company listened to the fans, who complained that they were playing too many Deep Purple hits, and so the setlist was revamped. “Highway Star” was dropped and “Spotlight Kid” was moved to the opening slot. “Sixteenth Century Greensleeves” was worked in. The tweaks are minor, but Memories In Rock II is fresher for it. Singer Ronnie Romero is fabulous, juggling the songs of multiple lead singers himself. Whether he’s singing Gillan, Coverdale, Dio, Bonnet or Turner, Ronnie sounds comfortable. The truth is that Ritchie Blackmore struck gold when he found this guy. As for the man in black himself, age may have mellowed him a little bit. The riffs don’t bite as hard, and sometimes the solos are thriftier than they used to be. Sometimes Ritchie’s noodling around rather than riffing. That’s fine because Rainbow is his band and he should play exactly how he wants to play. There are a couple treats dropped into the set. First is “I Surrender”, which Ronnie Romero re-recorded for the iTunes single. It and “Since You’ve Been Gone” are the most pop of set, offering short but necessary reprieves from the more advanced jamming tunes. The other surprise is “Carry On Jon” from the 2013 Blackmore’s Night album Dancer and the Moon. Of course it’s a tribute to Jon Lord, Ritchie’s old Deep Purple bandmate who died in 2012. It’s a lovely tune and the crowd settles right down to listen. Another fine Rainbow double live album. The cover is a redux of Rainbow Rising and that’s a little confusing, but the performance is more important. This is a dandy of a show for the current version of the band. The lucky Japanese fans got a triple CD, with a bonus disc featuring three studio songs. “Waiting for a Sign” is brand new. Richie wrote it with Candice Night, his wife and singer in Blackmore’s Night. It sounds a bit like Bad Company, being a laid back bluesy rock tune. They can still come up with the goods. “Waiting for a Sign” is the kind of song that would have fit on any Rainbow album fronted by Joe Lynn Turner. This track can be found on all versions of Memories in Rock II. In 2017 Blackmore said, “Rather than make an album, we may release singles.” And so that year they put out “Land of Hope and Glory” (an instrumental) backed by “I Surrender”. Some in a certain age bracket might know “Land of Hope and Glory” as the theme song for late wrestler “Macho Man” Randy Savage. Rainbow’s version features a lead violin and acoustic guitars. The other track was “I Surrender”, a re-recording of the old Rainbow pop classic. 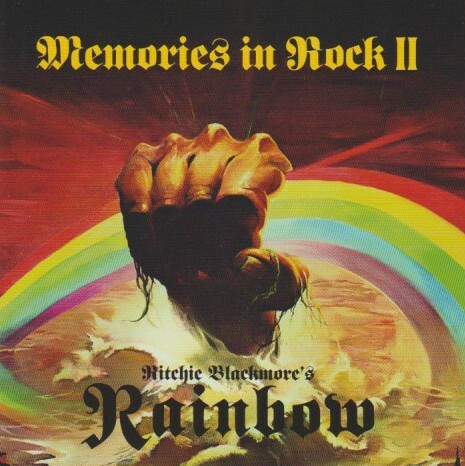 It was Ronnie Romero’s first studio recording with Rainbow, and a good one it is. No question: he is the right guy for Blackmore. Together, these two songs frustrated fans who really would have liked to get something original from Rainbow, but they got their wish now with “Waiting for a Sign”. Don’t miss this one. It’s OK if you skipped the previous two live Rainbow albums, but Memories In Rock II is the one to get, particularly the Japanese import. Please welcome Rufus Tiger Taylor to the drum kit! Son of Roger Taylor (the guy from The Darkness’ biggest influence, Queen), I think we can assume this kid knows his way around a drum set. It’s the third drummer in three albums for The Darkness. Original member Eddie Graham was on board for Hot Cakes (2013), but he was replaced by Emily Dolan Davies for Last of Our Kind (2015). The Darkness are The Darkness are The Darkness — don’t expect them to ditch the operatic vocals or bombastic arrangements. Pinewood Smile is more of what fans love, perhaps turned up just a little bit louder than before. Indeed, the second track “Buccaneers of Hispaniola” sounds like The Darkness have been listening to a lot of Queen II on maximum volume. “Japanese Prisoner of Love” has similar epic Queen inspirations, but melded to a momentous thrash metal riff. Of course, what would a Darkness album be without a few ballads? It can’t be all heaviness and gloom. “Why Don’t the Beautiful Cry?” is a quite lovely acoustic Darkness ballad. Bright and sunny “Happiness” is the gleeful mood of early Darkness returned. There are a number of exceptional diverse tracks as well, that defy categorisation. “I Wish I Was in Heaven” and “Lay Down With Me Barbara” stretch out, incorporating different elements both hard and soft, but always catchy as the plague. The standard album closer “Stampede of Love” is a folksy “Blackbird”-ish duet with Justin and Dan Hawkins…but stay tuned for a manic unlisted coda! On to the bonus tracks — four on the deluxe edition, five on the Japanese. These are a little stranger than the standard album tracks. What is a “Uniball”? Ummm…it’s when you have to have one testicle surgically removed. Yes, The Darkness wrote a heavy metal song about it. B-side worthy “Rack of Glam” is a decent pun with a punchy chorus. “Seagulls” is quite exceptional, highlighted by mandolins and a slight celtic flavour. Maybe the subtitle “Losing My Virginity” is why it ended up as a bonus track. Also brilliant is “Rock in Space”, the most pompous and bombastic track of the group. The Japanese exclusive track is a demo of “Why Don’t the Beautiful Cry?”, which is a real treat. Stripped back to just the basic acoustic arrangement, you can really just listen to Justin and Dan harmonising. No drums, no bass. Even though it’s just a demo, you can choose which version of “Why Don’t the Beautiful Cry?” is your favourite, because both have merits. What Pinewood Smile lacks, compared to previous Darkness albums, is an immediately loveable pop rock standout track. Something like “She Just a Girl, Eddie” or “Last of Our Kind”. Pinewood Smile doesn’t have those kinds of songs, but hopefully this means we’ll still be listening to it a year or two later. We have had a solid rain in Kitchener, Ontario. Not only are the banks of the Grand swollen to the limit, but there has also been a steady rainfall of new arrivals at LeBrain HQ! Summer has officially arrived, and what is summer without new rock? For myself, a Kiss “Christine Sixteen”/”Shock Me” single, which alas is too late to fit into my Love Gun re-review! Those two songs make it virtually a double A-side. 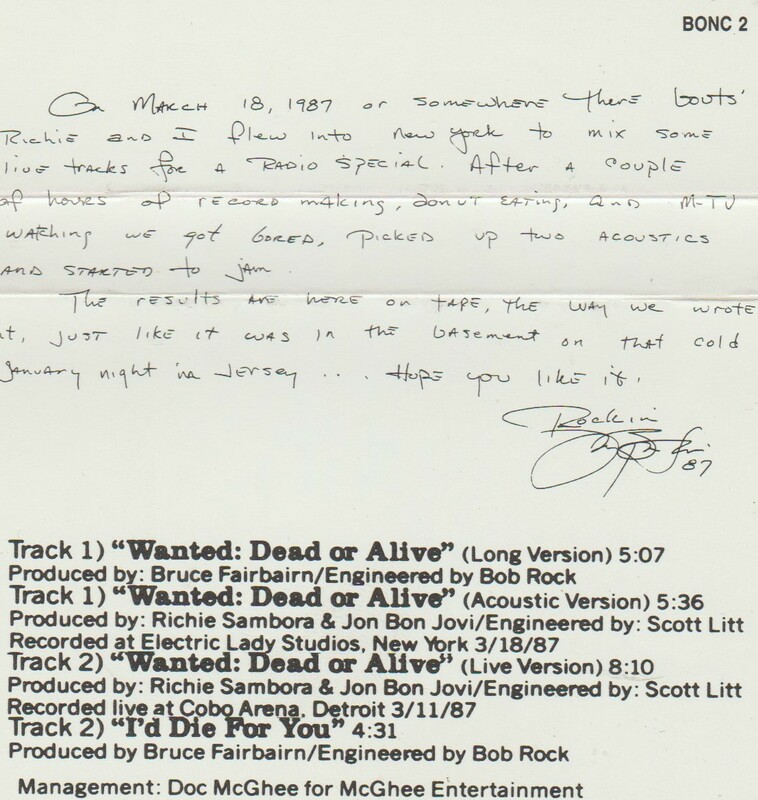 The other single he sent has a similar standing: Thin Lizzy’s “The Boys Are Back In Town”/”Jailbreak”. Two singles, four amazing cuts of rock history. On the same day, I received this from a Discogs seller in Japan: a CD that has been on my wishlist a long time. Despite the long wait, I managed to hold off from buying the domestic edition of Ghost’s debut Opus Eponymous all this time. A sealed copy finally came up on Discogs within my buying threshold, so I jumped at it. For my rewards, I got “Here Comes the Sun”, Ghost’s Beatles cover…and a very different one it is. We will jump briefly to new arrivals in the toy department. Thanks to J. at Resurrection Songs we recently covered the ins and outs of Third Party products. Behold! Badcube has released their take on Masterpiece Transformer Insecticons. These are heavy, heavy toys with lots of diecast and G1 accurate insect modes, with robot modes an homage to the cartoon. Check them out with their leader Megatron (third party Apollyon) and their original 1985 toys below. These, by the way, are deluxe collector’s editions with clear plastic and chromed parts for added value. I’d love to compare them to an official Hasbro Masterpiece Insecticon, but such a thing does not exist. That’s why third party companies have a niche. Labels by Toyhax. Last new entry in the toy Department: I found some new Star Wars Black Series 6″ releases kicking around at the local Toys R Us on Sunday. I should have grabbed more of the Imperial AT-ACT driver, that one being a Target/TRU exclusive, but sometimes you find those to still be warming the pegs a few weeks later. The Imperial Death Squad commander will look great with my Stormtroopers, but I feel to ask $30 for one little tiny Jawa figure is a bit much. They should have included two Jawas or a droid in there for that price. The same day as the Toys R Us trip, I also dropped in at the newly re-opened Sunrise Records at Fairview Mall, which is really starting to come along with great customer service and an improving selection. I couldn’t browse long, so I leaped immediately to the metal section and grabbed two CDs that I was missing by The Sword: Low Country (2016) and the new live album Greetings From… (2017). I am slowly getting caught up on that band — loving everything I have heard so far. A wonderful week to be sure, but it’s time to stop buying music and toys for a short while, and get ready for Sausagefest 2017. I finished recording my parts yesterday, and I have inside information that suggests that this Sausagefest countdown will be pretty awesome. Everybody needs a little Ratt N’ Roll in their lives. How much is up to you. It’s like salt & pepper — season to taste. But it’s been a while since Ratt released the fine comeback Infestation (2010), and we’re getting the cravings again. Ratt’s lead throat Stephen Pearcy must’ve known this, because here comes his excellent solo album Smash. You can hear Zeppelin bleeding through the intro to “I Know I’m Crazy”, and the word “Zepp-ish” comes up again and again when listening to this CD. Much of the time this is due to the big big performance by ex-White Lion drummer Greg D’Angelo. “I Know I’m Crazy” has a bit of the new and a bit of the old: modern drony guitars, but a punchy Pearcy chorus. Stephen is wise to not just copy Ratt (there are enough people trying that), but to go beyond that sound and into something a little out of left field. Then if you’re craving those big rawk guitar riffs, “Ten Miles Wide” offers one o’ those and a brilliant chorus to boot. Guitarist Erik Ferentinos nails a cool George Lynch vibe on one hell of a smoking solo. But then it’s fully down Zeppelin alley with slippery slide guitars on the impressively authentic “Shut Down Baby”. “What Do Ya Think” also has that swampy Zep vibe, very Page-y. With 13 tracks on the standard CD edition, there is plenty of rock, but an artist can always run the risk of an overly-long album. Not so with Smash! Stephen Pearcy has the goods, and a diverse batch of songs. None drag or overstay their welcome; the standard album runs at 47 minutes of diverse rock. Check out “Dead Roses” for a tune with a heavy Skid Row grind. “Jamie” and “I Can’t Take It” too rock hard, with roots still in 80s metal. Then there’s a sleazy Aero-Ratt called “Lollipop” that fits right in. You can count on a thick, strong sound throughout — check out the slamming and riffy “Want Too Much”. Bassist Matt Thorn co-produced the album with the band. Track after track, expect meaty guitars, full sounding drums, and sassy signature Pearcy lead vocals. There even a power ballad: “Rain” is awesome, tough and would have been a massive hit in 1985. Closer “Summers End” is less a ballad and more music for a dark sky. Of course you don’t have to buy the Japanese version to get Smash, but when you just can’t get enough Pearcy, the import offers an acoustic mix of “What Do Ya Think”. The song works very well as an acoustic jam session. Fans would be advised to check it out and choose which version they like best. However you get it, be sure to get Smash, a fine start to 2017. Glenn Hughes has been consistently prolific since a mid-90s comeback. Lean, clean n’ mean, Glenn Hughes has reclaimed his title as The Voice of Rock. His latest solo album Resonate made numerous top albums of 2016 lists. The only reason he didn’t make ours is that we were holding out to get the Japanese version with the exclusive track. In Japan they call him “The God of Voice” and this CD easily demonstrates why. It is pointless to break this CD down song by song. They are all incredible. They represent the kind of hard rock that Deep Purple made famous: riffs, heavy organ, and incredible lead vocals. In the Deep Purple days, it seemed Glenn’s soulful croon didn’t always fit in with heavy rock, which made them that more unique. Today, Glenn sounds at home. Resonate is consistently heavy, and impressive at every turn. There are no big star names in his band, but Glenn’s old buddy Chad Smith from Red Hot Chili Peppers has two guest shots: “Heavy” and “Long Time Gone”, the opener and closer on the standard tracklist. Smith is always a joy to listen to, and when he works with Glenn, it’s the heaviest Chad Smith gets. Glenn on bass and Chad on drums: it seldom gets better than that. Everyone will pick their own favourites, but one that we can’t put down is “Landmines”. The funky electric boogie is one of the album highlights; a real hard rock dance number to get down to. On “Landmines”, Glenn’s current self meets his 70s persona. That should create a time travel paradox, but it doesn’t. All it fuels is one hell of a boogie woogie oogie. Runner up: “Steady”. But any of these songs can slide in and out of the top spot on a given day. 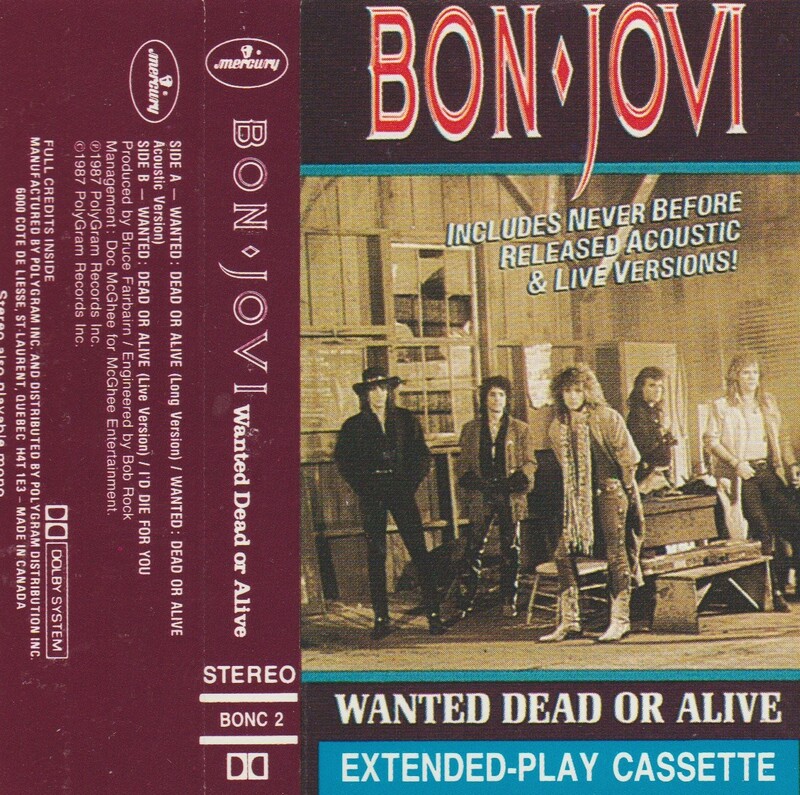 The Japanese bonus track is an acoustic version of the ballad “When I Fall”. In some respects it’s better than the album version, but it’s all just a matter of taste. The Zeppelin-like mellotron is delightful. The only bummer is that the Japanese version doesn’t have the song “Nothing’s the Same”. That’s OK; the domestic version of Resonate has that and a bonus DVD. It’s a killer acoustic cover of a lesser known Gary Moore song, and it is worth buying the album again for. It doesn’t matter which version you go for. Resonate kills.